I’m very excited today because I’ve something special to share with you. First, let me clarify for you that we always provide high-quality lessons (LINK), courses (LINK) and webinars (LINK). As you may already know, one of the key points about our Remote Chess Academy is your constant, everyday improvement! It can be a very small step forward, but even a 1% improvement a day brings an awesome 365% improvement in a year! Thus, our students (LINK) have studied our courses and have improved and achieved a lot! Interestingly, most of our students study certain courses which they find useful – hence, there are some courses which have been studied by many of our students. Many students like these three courses the most. Therefore, I thought it would be useful for YOU to know which course is the BEST and most popular amongst the students (YOU). Moreover, I’ve another interesting bit of information, too. Since ‘you’ like these three courses the most, I thought of providing them to you at a discount! That’s why I’ve created a bundle called “Students’ choice package” – the actual price of these three courses together is $357, whereas if you buy this package you’ll get these three courses for just $299. Therefore, you save a huge amount – $58! But wait, that’s not the end – the excitement continues. If you buy this package now, you’ll get FREE attendance at my webinar tomorrow, “Play like Nakamura” (LINK). I know that some of you may already be thinking: “OMG, I’ve already studied these three courses! What do I do now”? No problem at all, if you’ve already bought these three courses. In that case, you can contact us (LINK) and get FREE attendance at my webinar tomorrow! And finally, let’s take a look at a famous chess puzzle. Spassky solved this puzzle in 10 minutes when he was a kid. How about you? Calculate all possible variations and add your answer below; feel free to discuss this with other students! I’ll see you at my webinar. P.S. Additionally, we might have some new and interesting material in June. Stay tuned for more updates! Additionally, I thought of making you feel active before my webinar. In order to prepare YOU for the webinar, I’ve published a video lesson for you. In this video, I’ve annotated the games of the top-3 winners of the recent RCA Game Festival (LINK). As I mentioned already, the top-3 winners’ games will be commented as a prize. I’d like to let you know that I was happy to annotate these games. 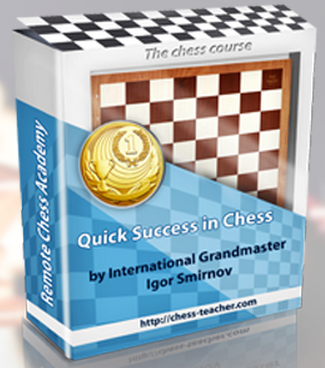 Moreover, these games are NOT played by any top grandmaster but by ordinary chess players – just like YOU. Therefore, you can definitely learn a lot of ideas from these games of the RCA students and can implement the same in YOUR games as well! Once again, let me congratulate all the winners and participants. 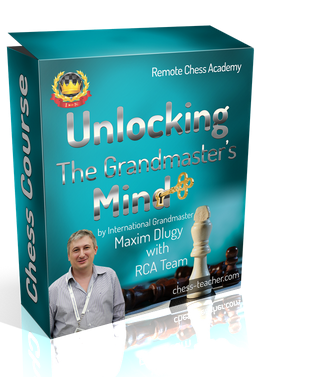 Also, I’ve something to share with you – if you would like to improve your game even more and play like top GMs, don’t forget to join my webinar “Play like Nakamura” on 30 May. Find more details about the webinar and join now: LINK. It’s been a great month here at the Remote Chess Academy – yes, I’m talking about the RCA Game Festival. I’m glad that the contest got completed successfully and, once again, I’d like to say how much I appreciate the efforts made by all participants. It’s very nice to see that many students have voted for the top-10 games and, most importantly, I noticed some of them acknowledging the winners’ games. As I often say, RCA is a place for friendly communication for the sake of our mutual success! Joint 8th – Bello D and Jonathan both received 5 votes. Click here to watch Bello D’s game (LINK) and Jonathan’s game (LINK). Amazingly, Bello D and Jonathan received the same number of votes. Therefore, the 8th prize will be shared by the duo – a gift voucher worth $50 on RCA products for each of them. Once again, I’d like to congratulate all the winners and also thank everyone for participating. I hope to see you all in the next contest, too, with your game standard and annotating skills much improved! This time, I thought we could discuss one of the world’s top chess players, the current #1 rapid chess player in the world, Hikaru Nakamura. Therefore, the webinar topic will be “Play like Nakamura”! What is so special about Nakamura? Secondly, I want to let you know that, in addition to the “money back guarantee” (LINK) that we provide you with, we’ll now be providing a “best price guarantee”. What is a “best price guarantee”? As you may know, RCA products are also sold by our partners and sometimes they sell them at a lower price. Therefore, if you find our products offered at a cheaper price within 48 hours of your purchase, you can simply contact us (LINK) so that we can refund you the difference. Additionally, we’ll give you a discount for your next purchase. We guarantee the lowest price for our courses worldwide. If you accidentally find a better offer from any of our partners, just contact us (LINK)! We’ll also offer you the best price and an additional discount for your next purchase! Moreover, buying our products directly from the RCA site ensures that you will get our support at any time, in case of any troubles or questions. Furthermore, I’ve good news for you. 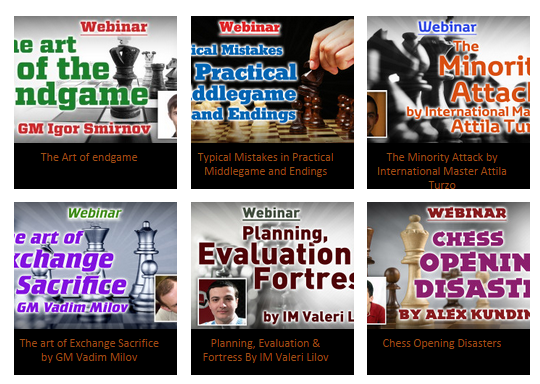 In recent times, there was some issue with our FREE training course “Quick Success in Chess” (LINK), due to which our students did not get the page where the free video lessons were displayed.